L’Assemblea generale ha chiesto al Segretariato CITES di facilitare l’attuazione della Giornata Mondiale della Fauna Selvatica, in collaborazione con le organizzazioni del sistema delle Nazioni Unite. aumentare la consapevolezza della necessità urgente di rafforzare la lotta contro la criminalità verso la fauna selvatica, criminalità di ampio respiro con impatti economici, ambientali e sociali. La risoluzione (A/RES/68/205) e la notifica da parte della CITES si può trovare qui. Di seguito riporto il discorso in inglese di John E. Scanlon, Segretario Generale della CITES, che invita tutti noi a festeggiare questa giornata e a ricordarci sempre di proteggere e salvaguardare la fauna e la flora selvatica che ci circondano. Wildlife now has its own special day on the United Nations calendar. On the 3rd of March we will for the first time ever celebrate World Wildlife Day. The 3rd of March is the opportunity for all of us – no matter who we are or where we are – to celebrate the beauty and variety of the millions of plants and animals that we share our planet with. While we cherish wildlife in its own right we should not forget that it also contributes to our personal well-being – from food to medicine – from culture to recreation. But today our wildlife is suffering from habitat loss as well as a grave threat from illegal trade, which is worth many billions of dollars every year. This illegal trade is now threatening the survival of some of our most charismatic species, as well as some plants and animals you may never have heard of. So as we are celebrating wildlife let’s do whatever we can – as citizens and as consumers – to bring this illegal trade to an end. Let’s work for a future where people and wildlife coexist in harmony. By working together we can do this – and in doing so secure the future for wild plants and animals as well as for ourselves. On this special day let’s reconnect with our planet’s wild side – let’s go wild for wildlife! 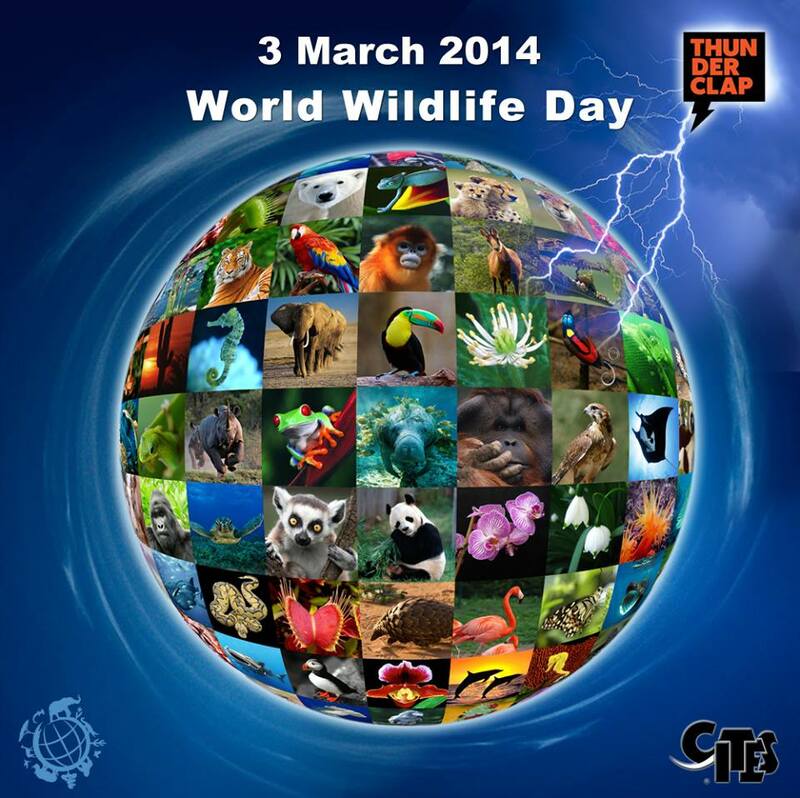 Pingback: 1st World Wildlife Day – 3 march 2014 | IL MONDO DEL BOSCO. Guardalo, sussurra e...pensa.